Randall David Tipton, Falls Creek-North Umpqua Study, watermedia, 12x12 in. Get lost in our “Summer Ramble” exhibition beginning August 24. Walk into paintings of golden fields and green meadows; view a clearing seen during an artists's favorite hike. 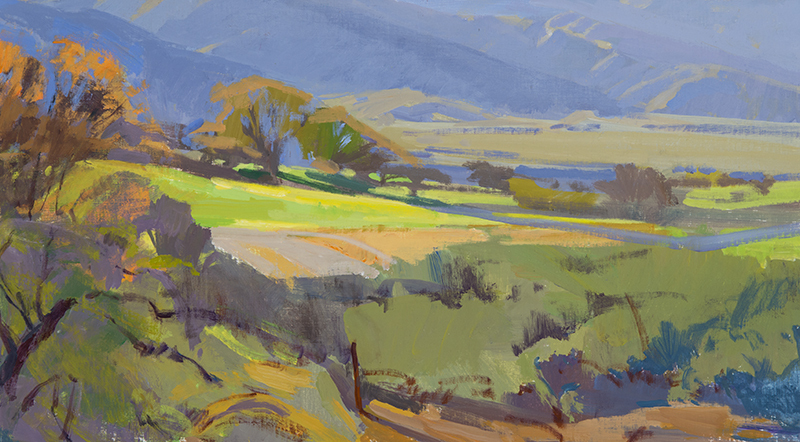 Flat blue and purple shapes overlap to form hills and canyons that lie ahead, while at our feet paint strokes render the chaparral and shadows on trampled trails. The immediacy of wide vistas is deepened by close-up, cross-hatched pencil lines or tender watercolor forms of foliage along the paths. Uniting the work is the attempt to reach for the sublime through realism. 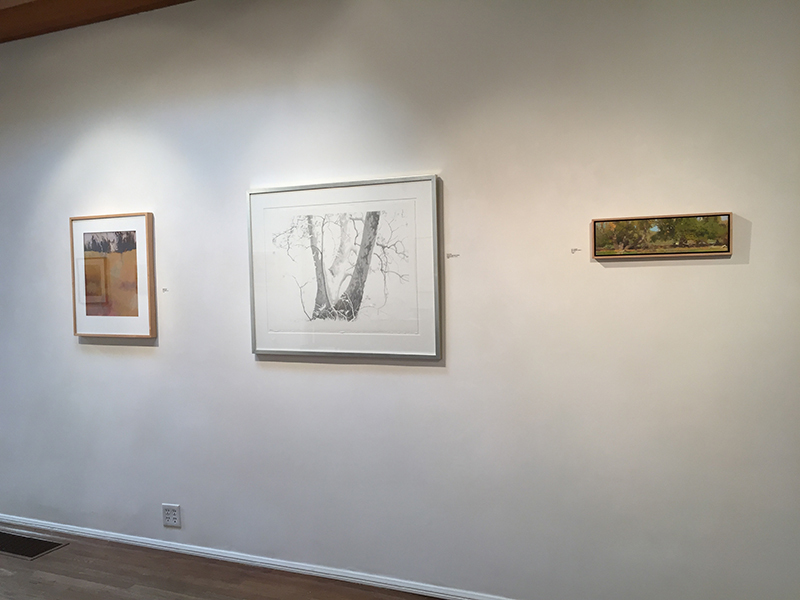 The artist’s pleasure in capturing and viewing a peaceful hike can be seen in every notation, every animated line of branch or creek bed—graphic evidence of grappling with the visual experience of a walk in summertime. 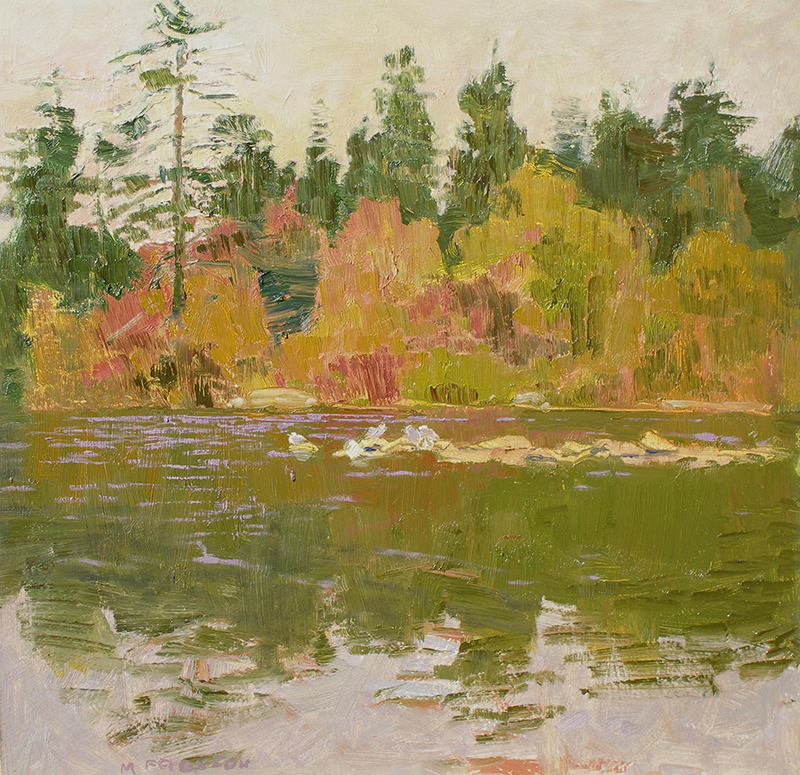 Robert Abbott, From Alma Rosa, oil, 15x18 in.